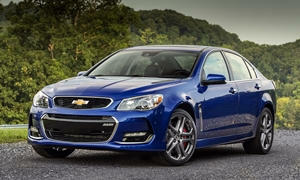 Looking for options in a manual transmission midsize or larger vehicle. Currently, I'm in a VW Jetta Sportwagen TDI. I love the combination of stick-shift, High Mileage, and cargo room. But, if VW ends up buying back my car, I'm looking at my options. My sons are 7 and 5 now, so I need a car with more rear passenger room than the Jetta (35.5 in leg room). I do not like SUVs, and I've already accepted that there are no midsize wagons available, so I'm targetting midsize or larger sedans. I would really like to keep the stick shift. So far, the only options I can seem to find are the Honda Accord EX or Mazda6 Touring. Chevy SS? You'll have to pay gas guzzler tax. The Mazda6 and Accord could be the only midsize sedans that meet your criteria. 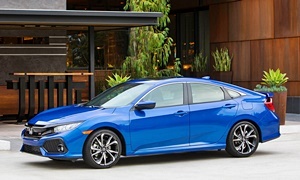 The 2017 Civic will be offered as a hatchback with a manual transmission. It could be large enough for your needs. Last time I shopped, in 2012, I test drove about everything I could find with a manual that I thought would be both fun and practical, mainly for long commutes. Among the midsize and larger cars, I found an Infiniti G37 sedan with a manual, which is rare but does exist, and a Hyundai Sonata, which the salesperson said was the only one he'd seen. I also found a used but modified Subaru Legacy GT.And a few first gen (before 2008 I think)Acura TSXs. I also drove a Mazda 6 with a manual and a Honda Accord Coupe V6 (couldn't find a sedan with a manual). And a BMW 328i and Audi A4, but I believe both have less room than a Jetta and don't seem to match the reliability of the others. So it can take some looking, but there are a few choices out there. You may have to travel a bit to find them, though. If interested, I'll give a few brief takes. 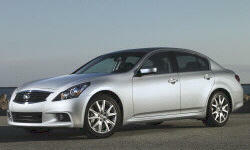 Infiniti G37: Nicely appointed, lots of power, but a little numb and detached feeling. Felt more like a luxury muscle car than a sports sedan. I didn't think it was very engaging, but it was raining and the salesperson spent most of the time complaining about his job. The stick shift also vibrated a lot at speed, which bothered me. Hyundai Sonata: Gobs of room and really nice interior. But despite having a stick it was more of a highway cruiser than anything sporty. And the one I drove was probably one of very few with a manual in existence. Subaru Legacy GT: I really liked the car, but the one I drove had obviously been driven hard, apparantly with candy-loving children in the back. The salesperson said he used to own one and that I could expect to get 17MPG with premium. That kind of killed it. 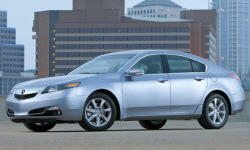 Acura TSX (first gen): These were essentially Euro Accords with luxury appointments and quite nice. The shifter felt quite nice, too. While I liked the ones I test drove, I didn't quite love them, and they're pretty old now. Still, if you come across a well maintained one, it's worth checking out. Mazda 6: Practical and engaging and pretty nice all around. 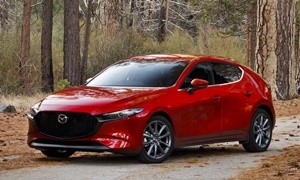 The only reason I didn't buy one is that I preferred the Mazda 3. Also, at the time a Mazda 6 with a manual was pretty stripped (I think that's changed), but I could get a pretty loaded up 3. Which I did (and yes, I chose the 3 over signifacantly more expensive cars). Actually, give a Mazda 3 hatch a try and see if it's roomy enough. It might be. 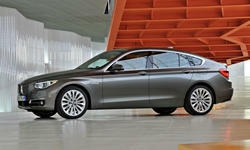 Honda Accord Coupe V6: The one I test drove had been mistreated. Clutch was replaced at 30K miles, there were cigarette burns along the A-piller, etc. It was the only Accord with a V6 I found to try. BMW 328i. Loved driving it, and the salesperson knew the roads to show off its handling prowess. I seriously considered buying one but decided against the financial and other baggage of BMW ownership. Audi A4: Could only drive it at slow speeds in a busy suburb, but it felt nice inside. But after the test and sales experience I didn't give it much more thought. EDIT: I don't know why slashes are showing up with apostrophes and some spaces vanished after a typo-edit, but I hope this makes sense anyway. 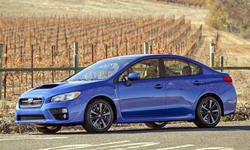 Take a look at the 2016 Subaru WRX. Available with a manual, though not a great shifter, but gets good mileage for being performance oriented, and Subaru made huge strides in refinement. 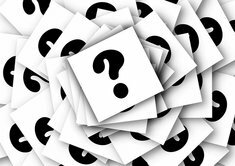 One thing you will find though is excess road noise, which may or may not break a deal for you. For me, it's not a huge deal, for others maybe not so much. BMW has the 5-series which is available with a manual in a couple different configurations, though it's going to be pricey on the repair and maintenance side of the house. Infiniti Q50/Q60/G37 is available with a manual and a good option. Great performance, plus the luxury aspect makes for a great daily driver. 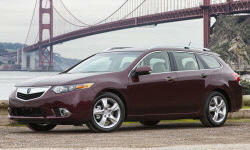 Acura has the TSX and the TL that have manuals available on the used market. The 2014 TL AWD Technology Package was available with a WONDERFUL 6-speed manual paired with the 3.7 liter engine. A phenomenal combination of performance, safety, comfort, and luxury. They can be had on the used market, though rare, but they would fall within your price range, and I think tick all the boxes and then some. There's a few other options here and there. If used, I'd go after the 2014 TL AWD manual. If new, the Subaru WRX Limited with a manual and the nav/audio package can be had a decent bit under $40k, and is a good, fun option, though a bit unrefined. Depends on your taste.